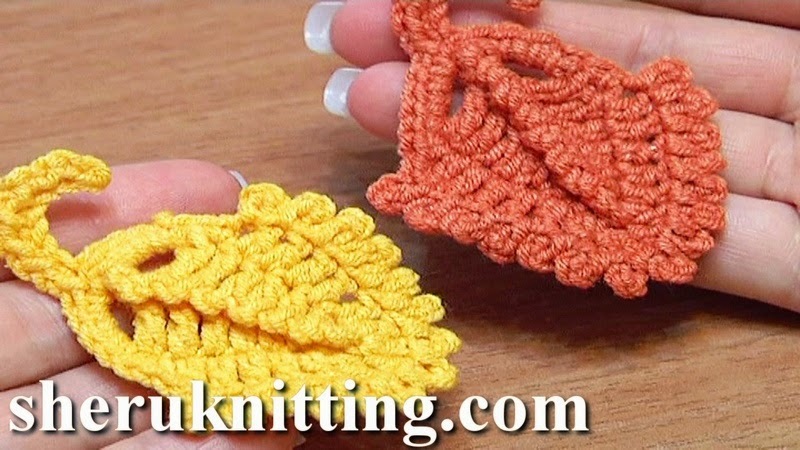 You will learn how to crochet a small triangle leaf. In the center leaf has a rib made of slip and chain stitches where slip stitches were made in back loops. The leafstalk was made the same way of slip and chain stitches. Around we made a trim of double crochet stitches and picots. All the beast!